Our group dog training classes are held in Ringwood on Thursday evenings and Sunday mornings. A variety of classes are available to choose from at Eastern Companion Dog Training, with levels ranging from puppies through to advanced. Your first lesson will be free. Here, we answer some of the most frequently asked questions concerning our dog training school classes. If you need more information, feel free to contact us anytime on (03) 9723 4387. Where Are The Group Dog Training Classes Held? Our puppy and dog training classes in Melbourne are held on the premises of Norwood Secondary College, located on Byron St in Ringwood (Melways Reference 49 K4). The dog training courses are conducted in an area containing basketball courts with full lighting and undercover areas, allowing our dog training classes to run in rain, hail or shine. Our dog training school can be accessed from Byron St- you can’t miss us! You’ll see signs both on Byron St and after you enter the school so you’ll know where to go. We recommend arriving fifteen minutes before the class begins and bringing your dog, a lead, and your dog’s vaccination card. No need to make a booking – simply come along. Follow us on Facebook for all dog training classes updates. How Much Are The Group Dog Training Classes? Eastern Companion Dog Training offers two membership levels to choose from, enabling us to cater to the varying needs of our customers. For both of our membership levels, we provide your first lesson free of charge to allow you to see what our group dog training classes entail. Through participating in this initial class, you can take a look at our training centre, observe the techniques we use, meet our training staff, and gauge the overall atmosphere. This class will be completely free with no obligations – you won’t pay anything unless you choose to continue with our group dog training course. Our Silver Membership is ideal for those wanting to gain a sound basic level of control and obedience with their dogs. The payment for this membership level is a one-off fee of $290.00, which is for the life of the dog, then you only pay a $10 fee for each group dog training class attended. For those who have more than one dog requiring training, the membership fee for the second and all subsequent dogs is just $150.00 per dog and again is for the life of the dog. Our Gold Membership is perfect for anyone wanting to train their dog to an advanced obedience level. Costing just a one-off fee of $700.00, our gold members are able to attend all group classes at no further cost for the life of the dog, enabling you and your dog to visit our dog training school on an ongoing basis. When Are The Dog Training Lessons Held? To ensure our clients are provided with convenient dog training, we offer a variety of flexible Dog training classestimes that can be attended at any time. There’s no requirement to attend the same dog training school class every week – simply go to the one that is most convenient for you. We’ve also designed our class structure so that you can feel free to come and go as you please, as we understand that you may only need to train your dog up to a certain level. If you’re attending your first class, please come to either the 10.00am Sunday morning or 7.00pm Thursday evening dog training class. What Training Do Our Instructors Have? Continued their learning further to become qualified Canine Behaviourists and Psychologists. How Many Trainers Are Present In A Class? We assign multiple instructors to each class to ensure our clients receive plenty of guidance. We also provide time in between our dog training school classes for clients to obtain one-on-one help from instructors if necessary. Through allocating many instructors to each class, we provide one of the best instructor-to-student ratios in Melbourne’s dog training industry. On average, our classes are attended by one instructor to every six students, providing clients with plenty of assistance. What Steps Are Taken To Socialise Dogs? We believe that socialising dogs is of the utmost important. That’s why all of our dog school classes in Melbourne feature a separate socialisation section where we introduce a range of everyday objects that are known to make dogs feel uncomfortable or anxious. 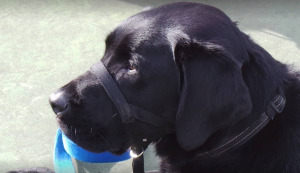 We expose each object to dogs in a way that teaches them that there’s nothing to fear, ensuring both them and their owners are prepared for the unexpected. These objects often change from class to class but can include items like lawn mowers, whipper snippers, motorbikes, and even other animals such as horses and cats. 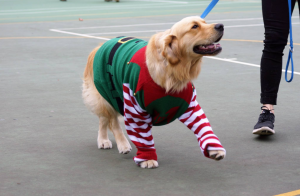 We also encourage dog-to-dog socialisation to ensure there’s no anxiety or aggression. This socialisation section is included in each dog training class. Are Dogs Trained To The Individual Requirements Of Each Owner? We are often asked if we can train a client’s dog to ‘their’ individual requirements rather than the requirements of other class members. Fortunately, our training process is very flexible, allowing us to tailor our dog training course classes to each client’s preference. Within the class environment, we can also help you rectify many behavioural problems, including jumping up, barking, and aggression. If you’ve tried other dog training schools in Melbourne without seeing results, attend a class at Eastern Companion Dog Training to discover how we can help you and your four legged friend. 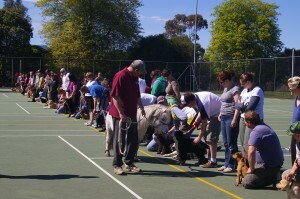 If you have any further questions regarding our group dog training classes, feel free to contact us on (03) 9723 4387.